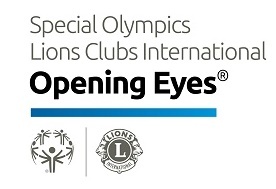 The Special Olympics-Lions Clubs International Opening Eyes program is a vision and eye health screening in partnership with the Lions Clubs International Foundation. Led by volunteer vision care professionals, Opening Eyes is able to offer prescription eyewear, sunglasses, and sports goggles to Special Olympics athletes. The screening process takes approximately 30 - 45 minutes. Offered at our Special Olympics Summer Games, athletes pass through various testing stations and educated on proper vision care. Front of the eye and inside the eye evaluation. Every athlete who needs vision correction is provided with a free pair of glass and/or sports goggles. The screenings take place on Saturday with their prescription glasses shipped one - two months later. Athletes who do not need prescription glasses receive free sunglasses or swim goggles.